STELLA'S HERO, co-authored with Ansha Kotyk, tells the story of a Victorian seamstress who falls in love with a young Chinese immigrant at at time when cross cultural relationships were not accepted by mainstream society. Love stories that transcend time. 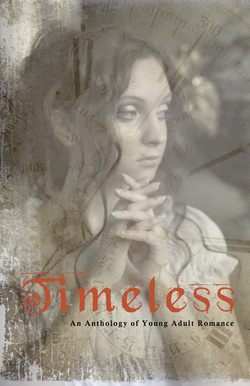 From a thousand years ago to the unknown future, Timeless will show how love is timeless. This anthology of love stories contains "Stella's Hero" by Kristine Carlson Asselin & Ansha Kotyk, "The Storyteller's Daughter" by Gayle C. Krause, "And The Nightingale Sang" by Kip Wilson, "A Light Of Victory" by Jennifer Carson, "The Angel Of The Bastille" by J.R. Sparlin, "In This Moment" by D. E. Atwood, and "It Lies Beneath" by Magda Knight. No longer available. If you are an editor interested in this short story, please contact Kathleen Rushall at Andrea Brown Literary Agency.